When you complete a photo shoot, you need to do a few things. You may have changed many settings on the camera to deal with lighting and other conditions during your shoot. If you forget to return the camera to its default settings, you risk taking pictures with high ISO settings when there is sufficient light on your next shoot. 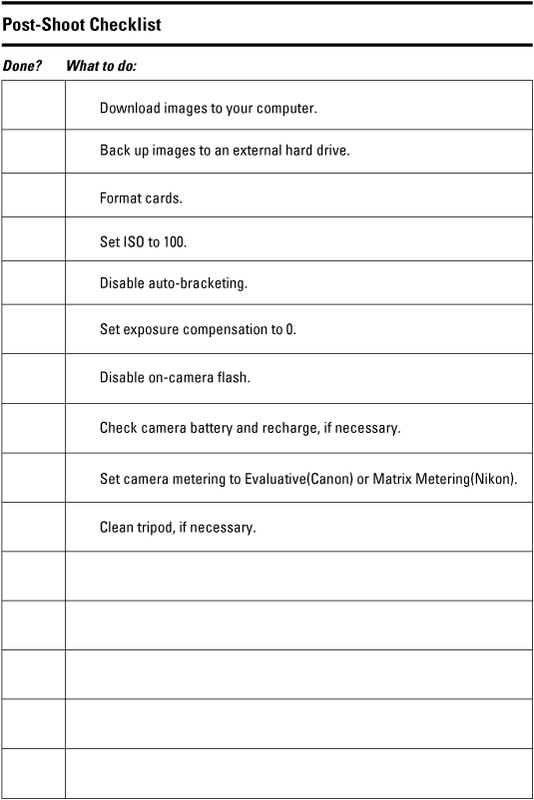 Keep a post-shoot checklist in your camera bag and go through it after every photo shoot.